What's The Most Baller Thing A President Can Do? Send A Boring Soccer Game To Penalties In The 63rd Minute. Sometimes, you’re sitting around watching a drab draw and you’re like “Bruh, I wish y’all could wrap this up.” Sometimes, you’re also a country’s preeminent political leader, and you have the power to make it happen. Allegedly. 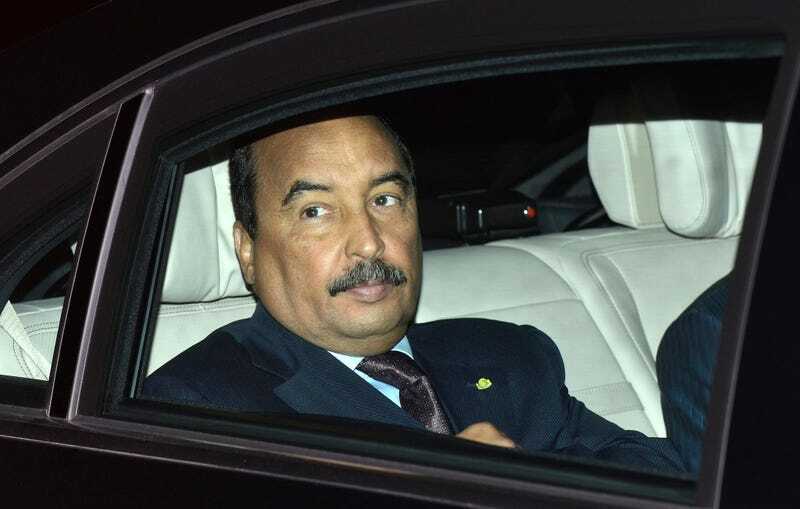 As Gazzetta World reports, Mohamed Ould Abdel Aziz, president of the Northwest African nation of Mauritania, was not digging the display before him during a Super Cup match between Tevragh Zeina and Ksar. At the 63rd minute mark, he demanded that the 1-1 match be halted, foregoing the final half hour or so and the potential for extra time, and sent right to penalties. When news made its way down from his seat to the field, the referee stopped the game and informed the parties, angering the players and the fans. Nevertheless, penalties did ensue and Tevragh Zeina won. The bizarre decision has sparked outrage throughout the country with thousands calling for an explanation, however, the league’s footballing federation has denied any claims of Abdel Aziz’s involvement, after an initial period of silence. Should’ve just owned up to it. Everyone has been there, he was just able to do something about it.